As a role of GTE, I discussed with my teamm and think about how we can skip any project and keep using original translation. It should be work with readme, for example. 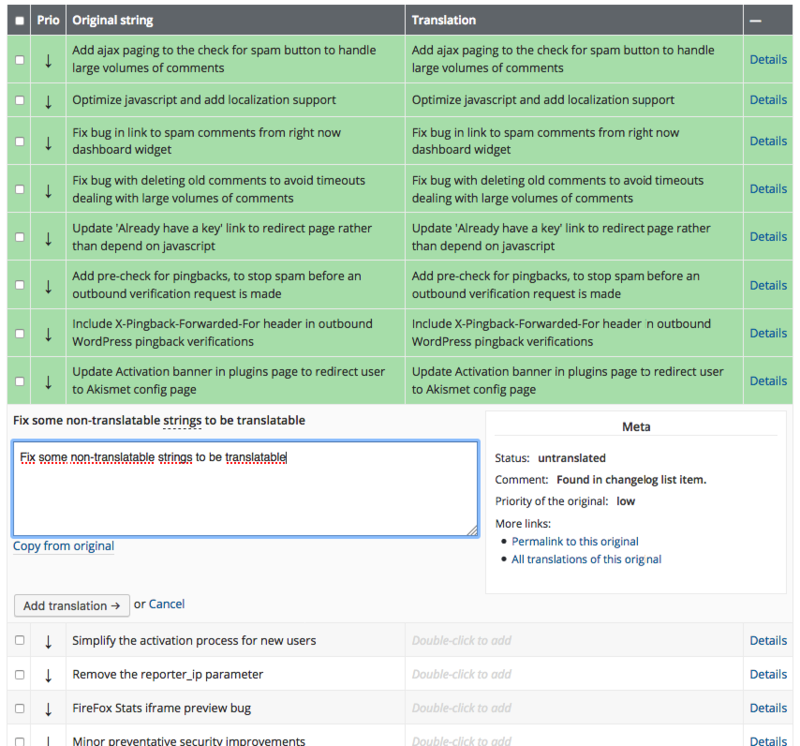 Many projects like Akismet usually keep up to 17 pages for managing logs, but from our side we don't think we need to keep translate these logs. So, Is anyway to keep using all origin translation strings from current project, and improve the way release a package for that quickly? I can not repeat too much time for simple copy origin and approve them. A translation of a readme is not required for a language pack. There's no need to "translate" a string with the original value if you don't want to have it translated in your language. It's okay to skip them, that's why they are marked with a low priority.